Happily Ever After Thoughts: Interview with Andrea Downing and a Giveaway! Interview with Andrea Downing and a Giveaway! Alexis: Today we have Historical Western Romance author, Andrea Downing who is giving away a copy of Dearest Darling to one lucky person who answers her question below. Welcome Andrea! Andrea: Thanks so much for having me here today, Alexis. It's much appreciated. Alexis: It’s our pleasure :-) So tell us why did you choose this sub-genre of romance? Andrea: I didn't choose it—it chose me! For as long as I can remember, I've been in love with the west, fascinated by it. Unfortunately, I got side tracked and lived in England for a very long time, but when I came back to the states, I learned how the Brits had started most of the large cattle companies out west, back in the 1860s. So Loveland, my first book, came out of that and the other books followed, and the more I write about the west, the more involved with it I get. It becomes self-perpetuating! Alexis: I can tell you love writing about it. What are your favorite traits of the two main characters in Dearest Darling? Andrea: I love the fact that my hero, Daniel Saunders, is very decisive but also kind. He makes up his mind and nothing will sway him, though he's capable of seeing his own faults and admitting when he's been wrong. But he's gentle, too; I can see him being a very good father, a good example to his children. As for Emily Darling, I love the fact she takes what life throws at her—literally—and makes the best of it. She's been brought up in a male-dominated world yet isn't afraid to break the mold and take chances. Alexis: Wow, a man who admits when he’s wrong, definitely hero material ;-) What was the strangest thing that inspired a story for you? Andrea: I have a women's fiction novel (with strong elements of romance, as they used to say in RWA), Dances of the Heart, coming out in February. It's original title was 'Texas Two-step' but I changed it when I saw how many other books were available with that title. Well, the Texas Two-step actually inspired the story. I was thinking that I'd like to learn that dance, and the next thing that popped into my mind was to set a book in Texas with the dance playing a prominent role, and then I thought 'two-step' could also imply two couples. So, you'll have to wait for February to see the results! Alexis: How fun! Though I have to say, couples two-stepping is the hardest dance I’ve ever learned. I even find the waltz easier :-} As a writer, there are so many things to learn. Speaking of learning, what was your first writer’s conference? Andrea: I don't know whether it counts as a conference or not, but I'll say it was the Writer's Retreat that The Wild Rose Press had at the Silver Spur Ranch in Bandera, TX. I'm not a person who does well in situations where I don't know anyone, so this was a fantastic way to get my confidence up. I specifically did not want to attend any conference until I had a book under my belt to give me a bit more self-assurance, so mixing with fellow authors from TWRP in such an informal atmosphere was great, and Editor-in-Chief Rhonda Penders and her editors were all very welcoming. Alexis: Now that sounds like my kind of retreat. What a great experience. Now of all the books you’ve written so far, who is your favorite character? Andrea: I'm still in love with Jesse Makepeace from Loveland—sorry, Daniel! Maybe one day I'll revisit that story and finish it since I know everything that happens to him and Lady Alex. Perhaps all authors have a life-long attachment for their very first book. Alexis: Thank you so much for visiting, Andrea. It’s a pleasure to have you. Andrea: Thanks again for having me here, Alexis. I enjoyed this interview immensely. He strode back out of the barn to the house. A yellow glow shone through the back window, an inviting warmth, and he edged closer with care. The net curtain hardly gave Emily the requisite privacy for a bedtime routine. She sat on the edge of the bed, back to him, in her nightshift, brushing her hair. He stood enthralled, transfixed as the brush came down the length of her hair, that wheat-straw hair, plowing lines through it as the brush made its way, and then rose to the top once more to start its path again. It was like silk, waves of silk or satin, and he could only imagine what it might be like to touch it so, to feel lengths of it, have it slip through his fingers, have it fall over his face if she lay above him. His manhood hardened at these visions, a yearning in his groin. The desire for her ran through his blood as he remained still, observed the way her hand held the brush, her thumb running the length of the handle, her fingers gripping, moving the brush through her hair, the fine strands like filaments caught in the lamplight. And when she stopped, tossed her head faintly, the very slight motion stirred the curtain of hair as one, over her shoulder. He gasped, had to catch his breath. Born in New York, Andrea Downing returned in 2008 from the UK where she lived for most of her life. Having traveled extensively throughout Europe, Africa and Latin America, she now divides her time between NYC and the east end of Long Is., punctuated by frequent journeys out west---the area of the USA she loves best. Her first book, Loveland, was a finalist for the 2012 RONE Award for Best American Historical. Her 2013 short story, Lawless Love, was also a finalist for the RONE Award as well as the International Digital Awards. 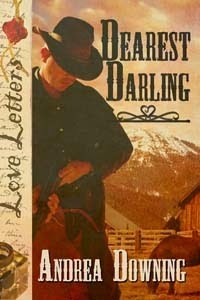 A novella, Dearest Darling, part of The Wild Rose Press Love Letters series, came out Oct., 2014. Also forthcoming Feb. 2015 is Dances of the Heart, a women's fiction novel. All are published by The Wild Rose Press. Alexis: For a chance to win a copy of Dearest Darling, answer Andrea’s question below. Good luck! Andrea: What was the name of Daniel Saunders' intended bride? Thanks again for having me here today, Alexis. I can't wait to see who wins the copy of Dearest Darling. Daniel's intended bride was Ethel Darton. I'd love to win the book! Great interview, ladies. I enjoyed it and can't wait to read the book. You don't have to enter me in the giveaway, since I already have a copy :) I just wanted to stop by and say hi. And thank you so much for that, Dani-Lyn. Lonely no longer! I look forward to reading your book. Thanks for your support Louise. Much appreciated! Thanks Angela---glad you liked it. Great interview, Ladies. And I love the Texas Two Step. There must be at least a dozen different ways to do it, but they're all fun. Best of success, Andrea. I find it torture reading the interviews and about the books. Will I ever get to all the books I want to read. Sounds like a good one, Andrea. Exactly my sentiments, Brenda. Of course I hope you'll find time to read this one! The winner of a copy of Dearest Darling was Valerie Clarizio. Thanks to everyone who commented. Lexi Post End of Year Giveaway! Cruise of a Lifetime: Day 10 – What a Ship! 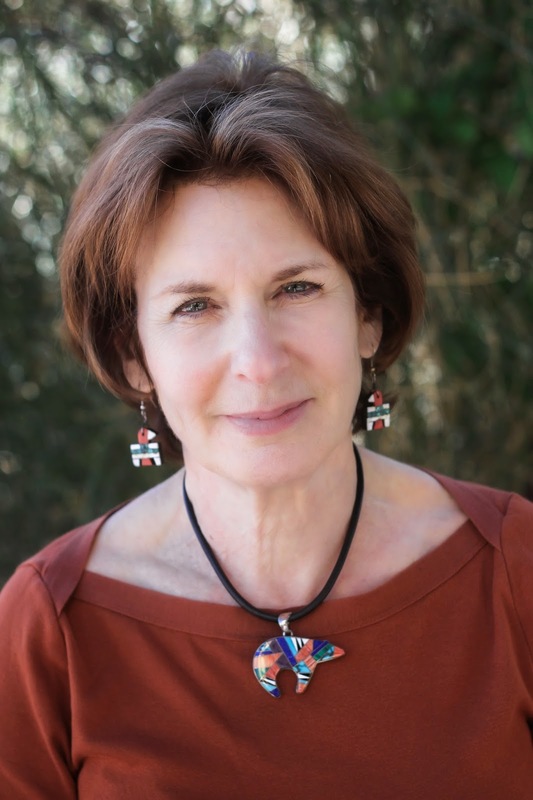 Diana Hunter Interview and Giveaway! Delilah Devlin's New Release is Smoking Hot! !